Massive and strong aluminum golden series ultra quality Tricore BDM Frame that suits all your needs regarding flashing the ECUs. Arm and deck rotation, non conductive coating. Flexible usage, lots of transforming possibilities. No more soldering wires to the ECU, only safe tiny contact. 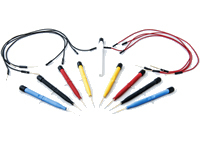 8 high quality new generation aluminium programming probes with golden pogopins and rubber cap. 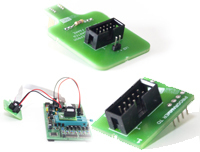 Delphi classic BDM 4 in 1 adapter supports KTAG, TRASDATA, BDM100 and FGTECH programmers. Precisly designed BDM adapter for safe and very fast handlig that minimises the risk while connecting to Engine Control Unit BDM pins. 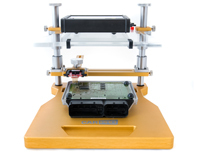 ME/MED9.7 classic BDM 4 in 1 adapter supports KTAG, TRASDATA, BDM100 and FGTECH programmers. Precisly designed BDM adapter for safe and very fast handlig that minimises the risk while connecting to Engine Control Unit BDM pins. SUPPORTS FGtech and KTAG ! It can be safely* used to flash the ECU. Bosch EDC17C46 BOOT adapter L supports FGtech Galletto and KTAG. Precisly designed adapter for safe handlig that minimises the risk while connecting to Engine Control Unit pads. in angle. All parts are same as on the picture. It can be safely* used to flash the ECU. Bosch EDC17C46 BOOT adapter S supports FGtech Galletto and KTAG. 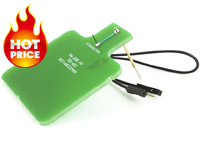 Precisly designed adapter for safe handlig that minimises the risk while connecting to Engine Control Unit pads. 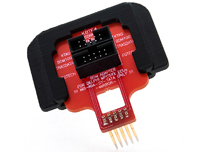 Bosch BDM 4 in 1 adapter supports KTAG, TRASDATA, BDM100 and FGTECH programmers. Precisly designed BDM adapter for safe and very fast handlig that minimises the risk while connecting to Engine Control Unit BDM pins. 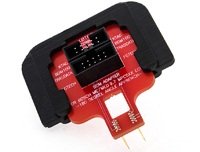 Delphi DCM3.2 BDM 4 in 1 adapter supports KTAG, TRASDATA, BDM100 and FGTECH programmers. Precisly designed BDM adapter for safe and very fast handlig that minimises the risk while connecting to Engine Control Unit BDM pins. 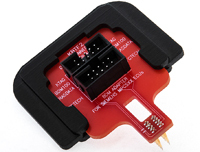 ME/MED9.7 180degree approach BDM 4 in 1 adapter supports KTAG, TRASDATA, BDM100 and FGTECH programmers. Precisly designed BDM adapter for safe and very fast handlig that minimises the risk while connecting to Engine Control Unit BDM pins. It can be safely* used to flash the engine ECU. 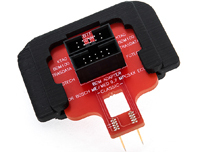 Bosch EDC17C59 (installed in Opel vehicles) BOOT adapter L supports KTAG programmer. 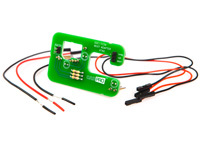 Precisly designed boot adapter for safe and friendly handlig that minimises the risk while connecting to Engine Control Unit pads. It can be safely* used to flash the ECU in boot mode. 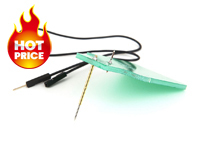 Boot PIN adapter L for safe handlig that minimises the risk while connecting. No more soldering wires to the ECU. It can be safely* used to flash the ECU. 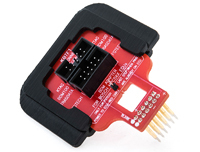 Bosch EDC17C59 (installed in Opel vehicles) BOOT adapter L supports KTAG programmer. 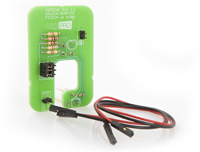 Precisly designed boot adapter for safe and friendly handlig that minimises the risk while connecting to Engine Control Unit pads. It can be safely* used to flash the ECU in boot mode. Boot PIN adapter S for safe handlig that minimises the risk while connecting. 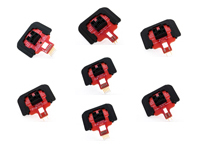 Complete set of 7 - seven BDM 4 in 1 adapters supports KTAG, TRASDATA, BDM100 and FGTECH programmers. Precisly designed BDM adapter for safe and very fast handlig that minimises the risk while connecting to Engine Control Unit BDM pins. 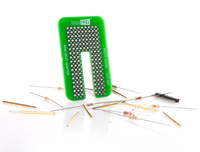 Siemens BDM 4 in 1 adapter supports KTAG, TRASDATA, BDM100 and FGTECH programmers. Precisly designed BDM adapter for safe and very fast handlig that minimises the risk while connecting to Engine Control Unit BDM pins. 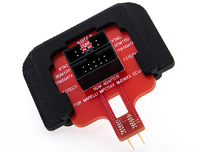 Marelli BDM 4 in 1 adapter supports KTAG, TRASDATA, BDM100 and FGTECH programmers. Precisly designed BDM adapter for safe and very fast handlig that minimises the risk while connecting to Engine Control Unit BDM pins. It can be safely* used to flash the ECU. Siemens PCR2.1 UNLOCK adapter TRICORE L supports FGtech Galletto and KTAG. Precisly designed adapter for safe handlig that minimises the risk while connecting. It can be safely* used to flash the engine ECU. 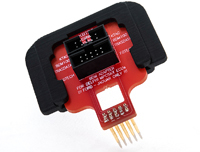 Bosch EDC17C59 (installed in Opel vehicles) BOOT adapter L supports FGTECH programmer. Precisly designed boot adapter for safe and friendly handlig that minimises the risk while connecting to Engine Control Unit pads. EEPROM pogopin adapter for BDM frame. 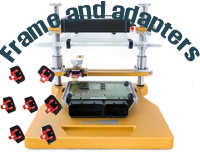 Supports any programmer that accepts adapter with 1:1 connection to EEPROM (almost any programmer). 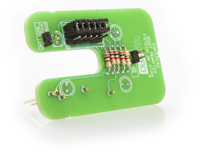 Precisly designed adapter for safe handlig that minimises the risk while connecting to EEPROM. It can be safely* used to flash the ECU. Bosch EDC17C59 (installed in Opel vehicles) BOOT adapter L supports FGTECH programmer. 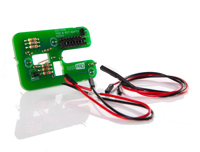 Precisly designed boot adapter for safe and friendly handlig that minimises the risk while connecting to Engine Control Unit pads.